Thanks Honeymill For Solving My Unhealthy Craving For Bubble Tea! You have worked so hard, why not take a break and enjoy a nice, sweet cup of honey? We all love our bubble teas but, as you all know, bubble teas are actually full of sugar that's unhealthy to our body. 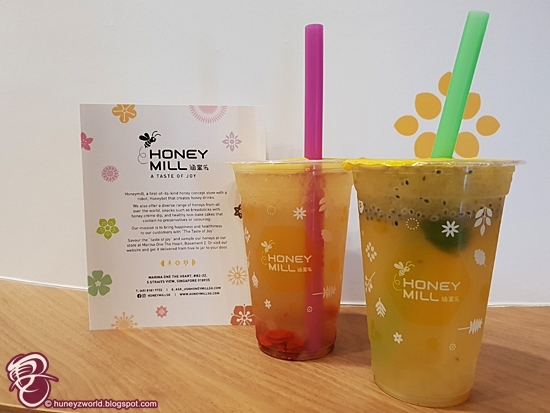 The better alternative without sacrifice our craving for bubble teas is to try the honey drinks from Honeymill that are naturally sweet and better for our health. 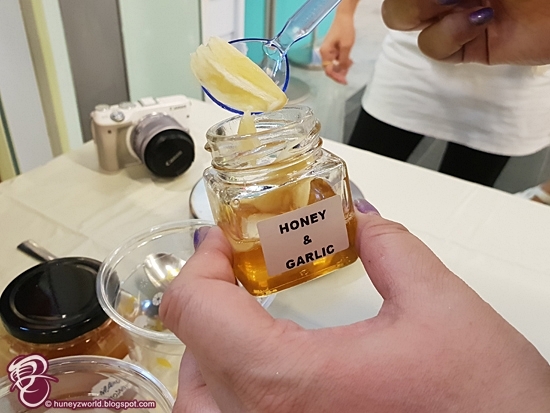 Known as the "Food of Gods" or "Liquid Gold" for thousands of years, honey is actually a treasure chest of hidden nutritional and medicinal value. With benefits such as anti-inflammatory effects, a natural antibiotic and also a good sleeping aid, it is my perfect subsittute for sugar! 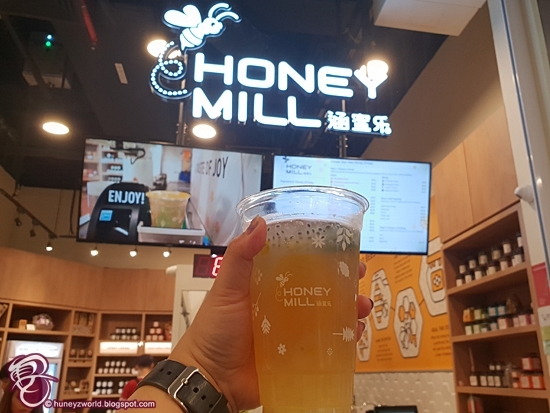 Located at basement 2 of Marina One The Heart, Honeymill is a local startup that operates the first-of-its-kind honey concept store that serves honey drinks and honey treats by a very interesting "staff"! 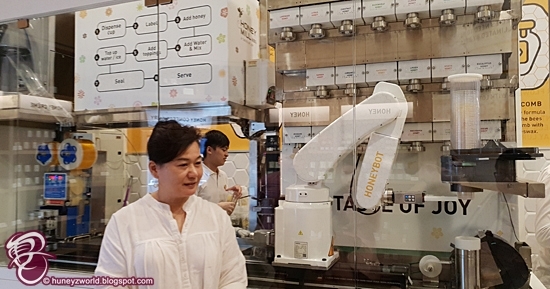 This interesting "staff" actually recalls any recipe from the honey drinks menu in an instant and has this amazing ability to prepare your drink in under 2 minutes! With such "staff" around, Honeymill is ever ready to serve the busy office crowds anytime with its fast and consistent service. 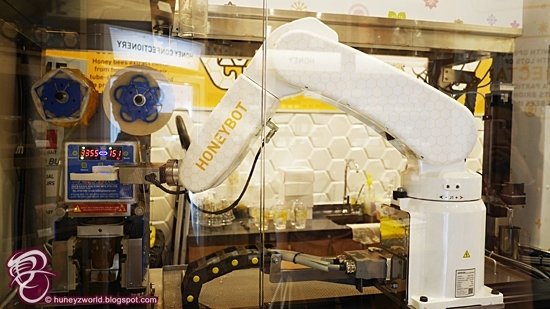 This interesting but amazing "Staff" is called Honeybot and "He" is the brainchild of Sophia Lim, the Founder of Honeymill. 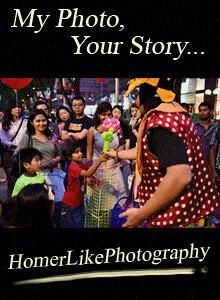 Coming from the honey distributing business, Sophia is always looking for better ways to promote honey to the community but has always been constrained by manpower issues as well as the challenge in the inconsistencies of making good quality honey drinks until she conceptualized Honeybot one day and took her team spent nine (9) months in developing and programming this robot arm. 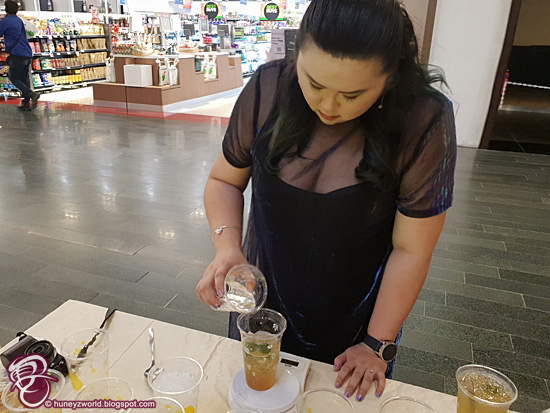 Just to demonstrate how efficient Honeybot is, I took up the "Man vs Machine Challenge" to compete with Honeybot in creating a honey drink and as expected, by the time I could finish stirring and blending the honey with water, the Honeybot has already completed and sealed the drink for serving! Check out the video below and you can see how fast it operates! 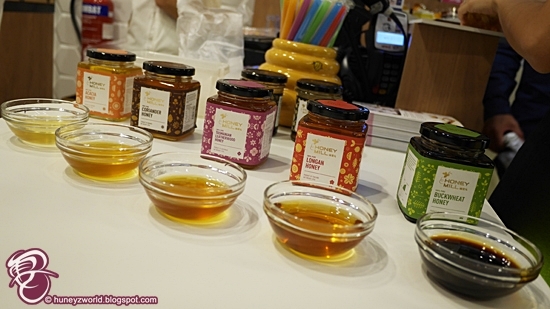 Did you know that you can create a wide variety of immune boosting food with honey at home? Simply by just infusing herbs such as garlic into a container with honey and store it away from direct sunlight at home for a few days, you basically have combined the health benefits of both the potent garlic (regulate blood pressure, lower cholesterol, lower blood sugar level, just to name a few) and the sweet "liquid gold" in one single bottle! By consuming it regularly, you can say goodbye to common problems like flu and cold!! 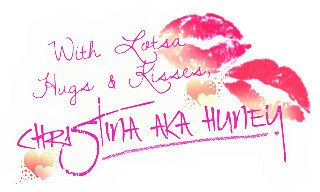 Huneybees, do try it today. 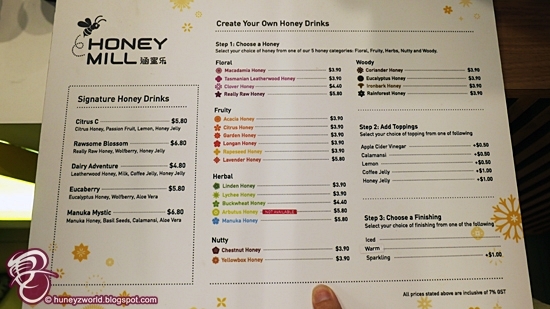 You could either order the signature Honey drinks or create your own Honey Drinks and get it in less than 2 mins! 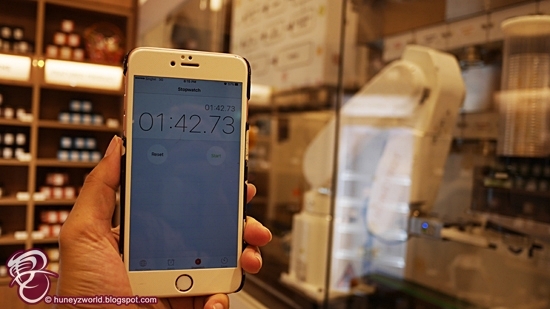 Making a Honey drink can be time-consuming as you need to dissolve liquid Honey in a cup of water not hotter than room temperate but Honeybot can create it in under 2 minutes, thanks to its powerful and precise robotic arm! 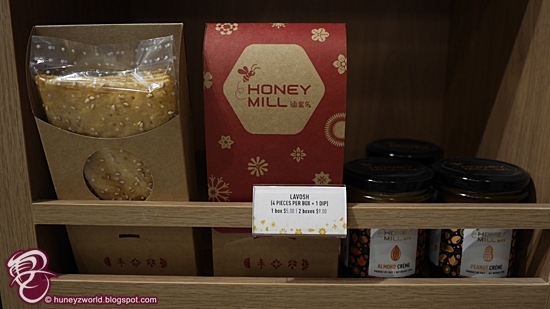 Apart from your choice of chilled honey drink, there are a wide variety of unadulterated honey products such as cookies, honey sticks, and cakes available for Huneybees! There are many varieties of honey produced all over the world, depending on the types of nectar and where the bees collect them from, and the most famous one is the Manuka honey from New Zealand, thanks to its proven antibacterial properties that can rival some medication. 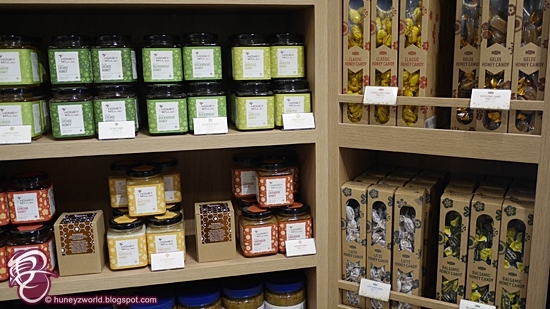 It is however very important to buy honey, regardless of its form - comb, raw, propolis, royal jelly, etc. 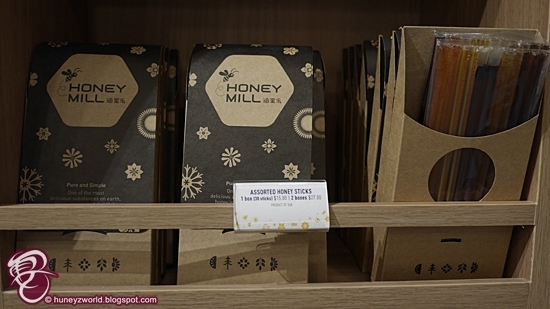 - from a reputable source, preferably from a honey specialty store like Honeymill, as the method of harvesting and processing of honey can degrade or even "poison" the product. 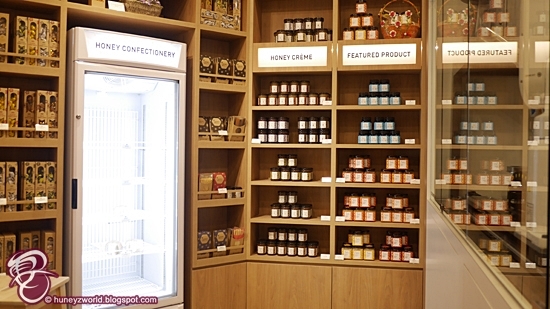 While honey is commonly sold in neighborhood market, it is important to note that many are actually adulterated (impure) for the commercial reason and hence may not be as good for our health. 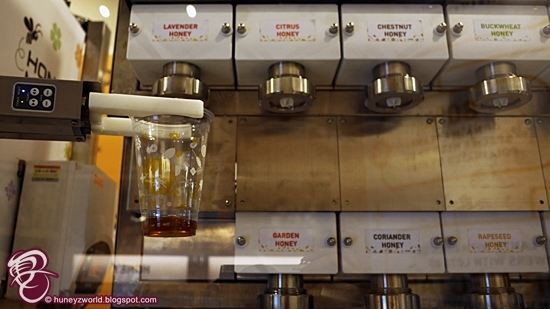 For a better tomorrow, let's switch our favorite bubble teas with the healthier honey drink from Honeymill today! 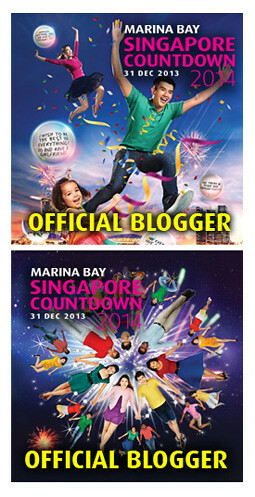 mc2 Is Having World Cup Promotions too! What To Expect At Asia GAME Festival 2018? 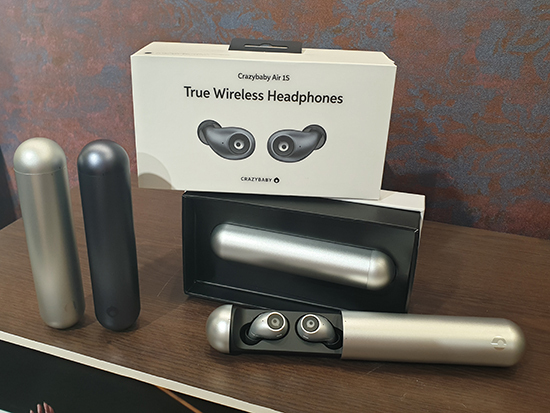 We Love This Year's Edition Of The PC Show!